Following word-of-mouth, one of the most persuasive methods of communicating an organization’s virtues to its target audience is through believable consumer and expert testimonials. Bright, personable and articulate individuals, expressing their true “unscripted” thoughts and feelings about a subject, will generally outperform paid actors when it comes to credibility on video. 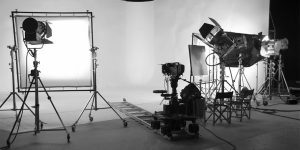 That’s because a paid, commercial actor, making a sales pitch on camera often conjures up images of the “hard sell,” putting pressure on the viewer to act. Many of us don’t respond well to such pressure and as a result tune these messages out. Conversely, consumers today tend to identify with well-crafted testimonial videos featuring true-to-life individuals speaking from the heart about their own personal experiences. A word of caution however as not all testimonial videos are created equal. We’ve all seen them: non-actors talking uncomfortably to camera, sometimes with their eyes scanning left and right as they nervously read lines from a teleprompter. Will anything they say ring true? Getting the best performances from non-professionals will depend on the individuals we cast and how well the director handles them before, during and after the interview. At Blare Media we take the time to research our testifiers prior to filming. We want to know their background, their likes and dislikes, and especially anything relating to their experiences with the advertiser’s products or services. Due diligence helps us spot potential problems working with certain individuals and can lessen the time it takes to conduct our interviews. By getting up close and personal with our testifiers, we make sure they’re relaxed, comfortable and confident they will not be embarrassed. The goal is for our subjects to forget they’re on camera and focus their thoughts on the topics of discussion. It’s been said that the best thing advertising can be is helpful. And when the on-camera interview results in a credible endorsement that enables the viewer to better identify with the advertiser, that’s the kind of help Blare Media is able to provide.